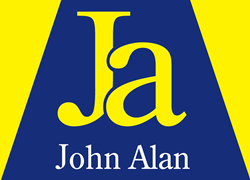 You can register details and discuss your property requirements with one of our experienced sales negotiators either by telephoning, or by popping into our office where you will be able to discuss your requirements with one of our negotiators. You can also register your details online. Property details can also be viewed on our website. It is sensible to take independent financial advice as soon as possible when starting a property search, and ideally have a mortgage agreed in principle. This will confirm your budget, as well as save you time by not viewing properties that are out of budget – we recommend several independent mortgage advisors with established relationships with all the key lenders in the UK mortgage market. We would be happy show you any property within your price bracket at the earliest mutually convenient time. Having found a suitable property we will put your offer forward to the seller both verbally and in writing at the earliest opportunity. At that stage we will look to confirm your buying position – i.e. chain details, deposit and mortgage arrangements. Once the sale has been agreed, and solicitors have been instructed by both seller and purchaser, we will send out memorandum of sale to all parties confirming the details. Having instructed your solicitor, draft contracts will be prepared and forwarded from the seller’s solicitor. You will then need to supply your solicitor with funds to apply for local authority searches prior to them approving the contract. A mortgage lender will require that the property being purchased is inspected by one of their appointed valuers. You will be offered the choice of a standard valuation report or a valuation report and building survey by the lender. Alternatively, you may wish to have an independent building survey carried out alongside the lender’s valuation, at which point you should instruct an independent chartered surveyor. If no mortgage funding is required you may also wish to instruct an independent surveyor at this point. After the mortgage valuation report is received, a formal mortgage offer will be sent to you and your solicitor, which you will need to sign and return. When your solicitor has received the mortgage offer, searches and approved the contracts, they will contact you to discuss the transfer of your deposit money and confirm completion dates. The standard deposit is 10% of the purchase price, whilst the completion date is discussed through both solicitor and estate agent. Both purchaser and seller need to sign their contracts and instruct their solicitors to proceed. You will need to ensure that satisfactory buildings insurance is in place at this stage. This is the day when the balances of funds are transferred from your solicitor to the seller’s solicitor. When monies are received by the seller’s solicitor, the keys to your new home can be released! The keys are generally held with your agent on completion to help make the moving process as smooth as possible.